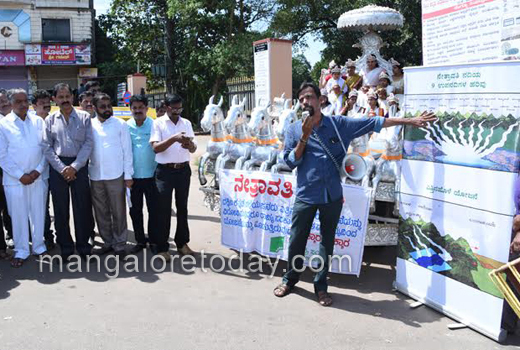 Mngaluru, Oct 10, 2016: The anti-Yettinahole activists took out a huge protest rally against the Yettinahole project on Oct 9, Sunday.Activist Dinesh Holla said that the people of the coastal region are more than sure and convinced that 24 tmcft water is not available at Yettinahole. 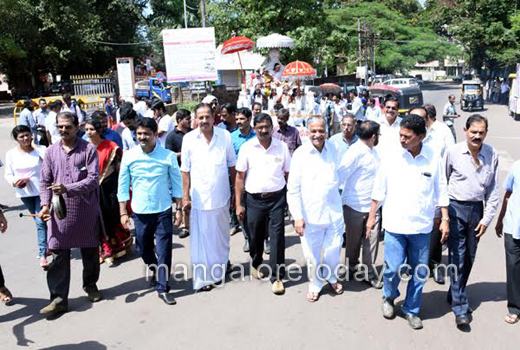 "There is not even two feet water at Yettinahole now. 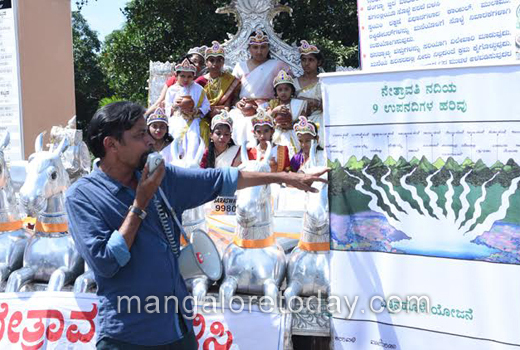 All tributaries of Kempuhole will be diverted under the project. The ecologically sensitive shola forest region of the Western Ghat will be dstroyed by the implementation of the project," he said. 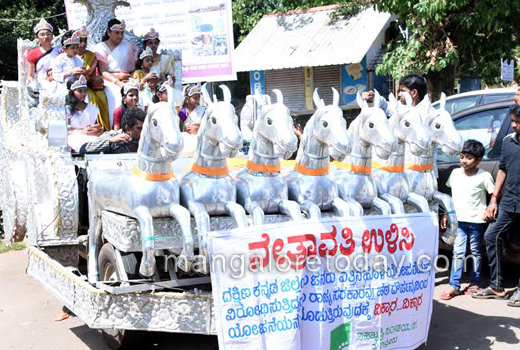 Children enacting nine forms of Durga, ’Navadurga,’ were seated in the chariot from the DK DC’s office premises, were taken in a rally via Rao and Rao Circle and Town Hall. 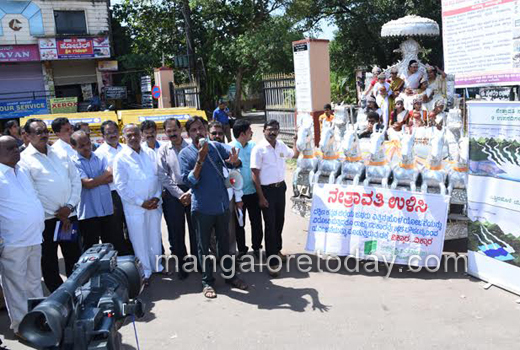 Water from nine tribuaties of Kempuhole were placed in nine pots and held by the children enacting Navadurga. 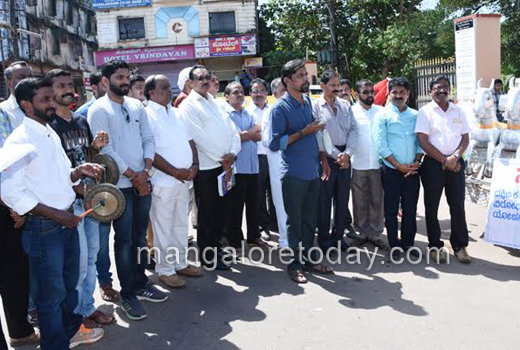 The chariot moved to Syedani Beebi Dargah, Rosario church and Mangaladevi Temple where prayers were offered to the Lord seeking knowledge to elected representatives to stop the project. 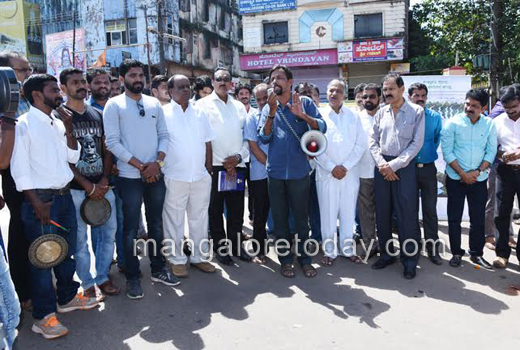 Sahyadri Samrakshana Sanchaya president and former MLA Vijay Kumar Shetty and others were present.